There are many exercises that can help you burn excessive fats and calories. This is the best way of squatting. The goblet squat involves front-loading a weight and this will allow you to keep your trunk in a more upright posture. This can help take off the stress from your spine and will work more on your spine. The Goblet squats are much safer to perform and are also accessible easily compared to the barbell squats; this is for high-rep fat loss program. This is another exercise that can help you burn excessive fats in your body. It is usually performed from a hanging position while resting the bar at your knee or shin instead of resting it on the floor. You then extend fully your ankles, knees and the hips and then come to the full stand at the top of your move. 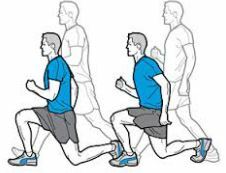 This exercise can improve fitness and also help you lose as much fat the same way running would have done. 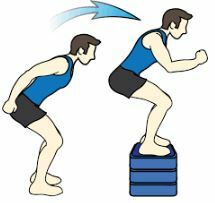 It builds up the muscles, increases metabolism and also works on posterior chain. This exercise gives a continuous, low-level calorie burn and it does not need a lot of coaching. You can also add some weight on that walk; this will increase the intensity of weight on the body, build the muscles and burn the fats. 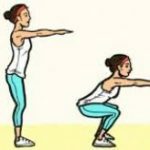 This plyometric exercise is good in stimulating your muscle fibers and burning the fats and this can help reduce your weight. This exercise gives a lower-impact method of training your lower-body power and then crushing the calories at a very high speed. Step-ups are done well on hips than lunges; therefore they are much easier on your knees. 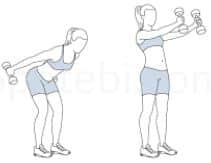 This exercise is super easy and it will help you burn excess fats from your body and thus help to cut down on your weight.. 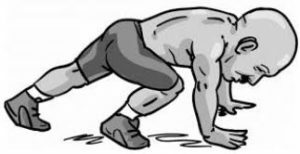 The bear crawl not only improves on your pelvic and rib positioning and on your breathing, but also improves on your shoulders stability while at the same time strengthening your hands, wrists, and the core. And in so doing, they help burn the accumulated fats in your body. Consider also doing some Walking Lunges for several minutes. It will stimulate your thighs and hips, which can ramp up your metabolism in a more serious way. This is another exercise that can help your body burn some of its excess fats. 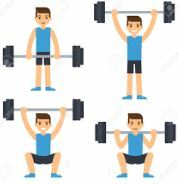 It is an exercise that involves a squat to the overhead press. In the following steps about the Weight Loss, we look at the Weight Loss Surgery, which is also called Bariatric Surgery. 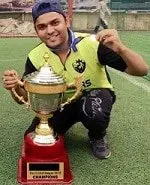 “Hello Weight Watchers, My Name is Hemant and I am an IT Professional, Writer, Health blogger, Author and founder of the blog “Fat Loss Planner”. Fat Loss Planner Copyright © 2019.